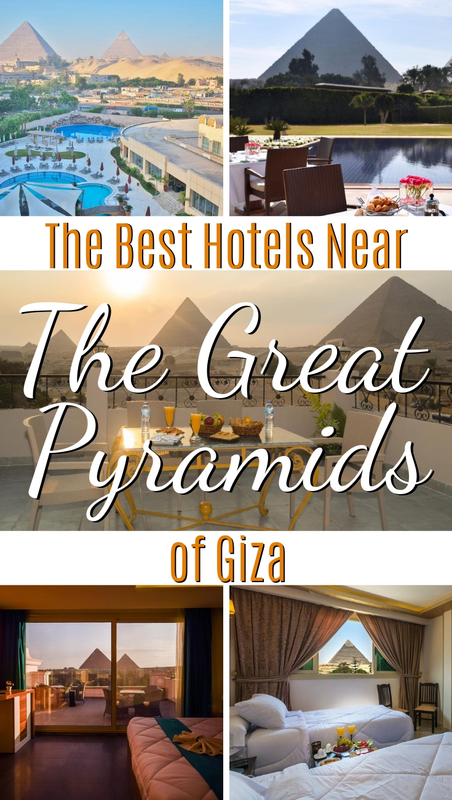 If you are planning a visit to the Great Pyramids of Giza in Egypt, you have a few options for accommodation. 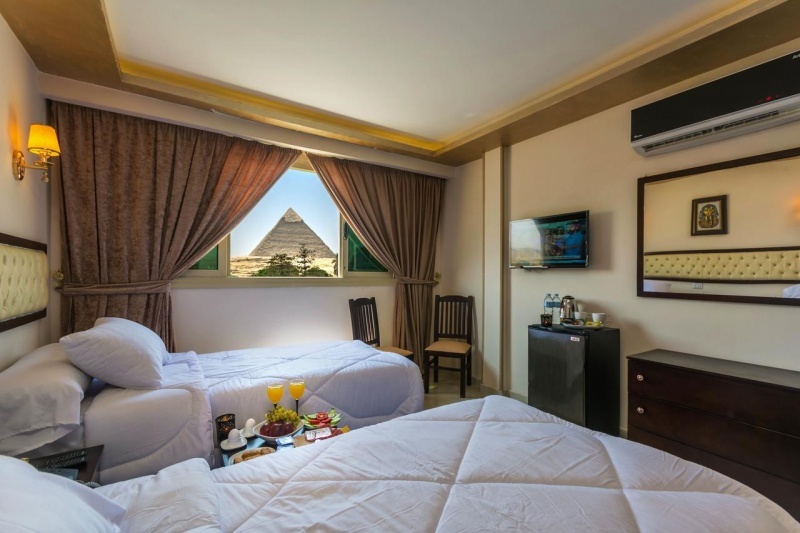 You can stay in the nearby city of Cairo, or you can book a hotel that offers stunning views of the pyramids, right from your room! 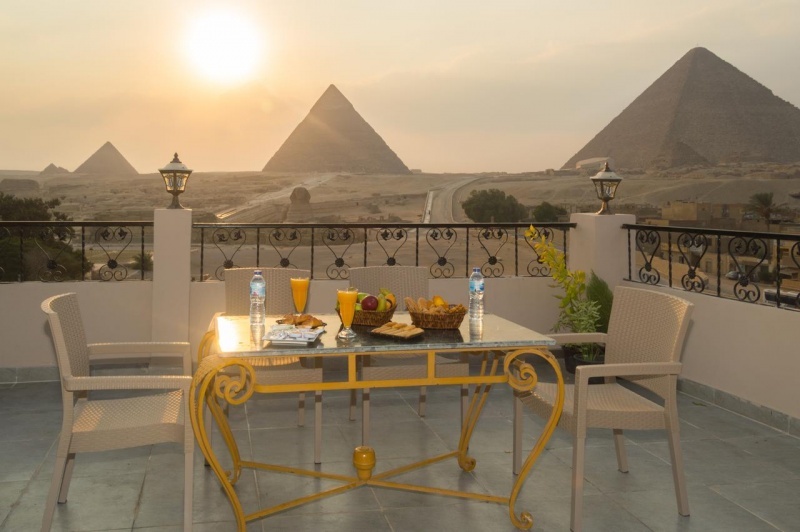 We would highly recommend booking a hotel in Giza for at least one night so that you can enjoy views of the pyramids during sunrise and sunset from their beautiful terraces. Check out our 5 favorite hotels near the Great Pyramids of Giza that you will love during your trip to Egypt! The Marriott Mena House is the premier hotel near the Great Pyramids. With a huge pristine swimming pool, a state-of-the-art fitness center, a spa, and beautiful gardens, it’s the perfect place to stay in Giza. You’ll get amazing views of the pyramids from all over the property! Rooms are spacious and incredibly comfortable. All have air conditioning, a television set, a private seating area, and plenty of other amenities including a bathrobe and slippers for lounging. It’s worth spending a bit more to get a room with a pyramid view so you can witness them at sunrise and sunset without actually entering the Giza complex. Breakfast is served in the garden with a fabulous view. It is the perfect, tranquil way to start your day in Giza! And when you are ready to enter the Giza complex, it’s less than a half mile from the hotel to the entrance. You’ll love being so close! If you are seeking an immaculate pool with spectacular views of the pyramids, look no further than Le Meridien Pyramids Hotel & Spa. The hotel also has a fitness center, a hot tub, and a spa for guests to enjoy. 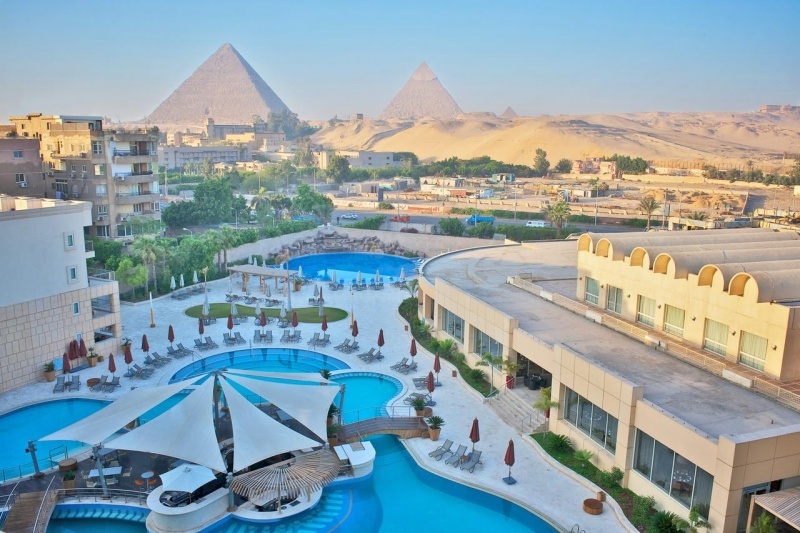 You’ll love lounging by the pool with the Great Pyramids as your backdrop! Rooms are simple and comfortable, with a flat-screen television set and small seating area. Some offer a balcony with a view of the pyramids from the privacy of your own room. Reviews on the hotel are mixed, mainly because the Wifi in the hotel could use an upgrade. The Panorama Pyramids Inn is a good choice for a reasonably priced hotel in close proximity to the pyramids. The view of the Giza Complex from the rooftop terrace is incredible! In fact, it’s a great place to watch the sound and light show in the evenings, without having to purchase a ticket. Rooms are large and clean with simple decor. The hotel staff are all incredibly helpful and attentive and will assist you in booking tours or arranging transportation. Plus the breakfast that is served daily on the terrace is outstanding. For the price this hotel is hard to beat! The Egypt Pyramids Inn is another hotel in close proximity to the pyramids with excellent views from the rooftop terrace! 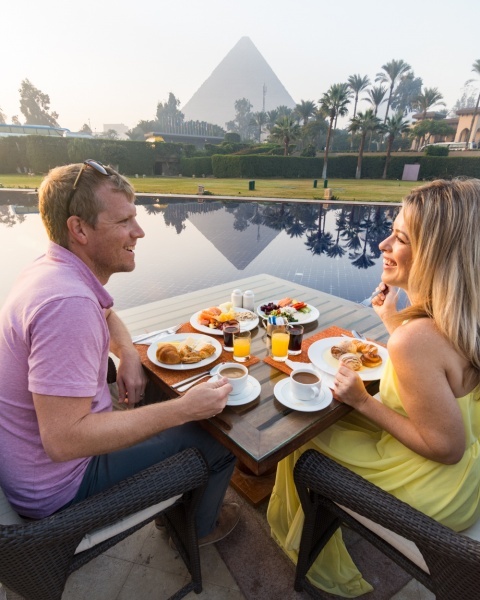 You’ll enjoy breakfast while overlooking the Giza Complex, and you can come back in the evenings to catch the view of the light show from the roof. Rooms are quite simple but clean and comfortable. Amenities include an electric tea pot for morning tea or coffee, air conditioning, and a flat-screen television set. All for quite a reasonable price. The staff at the Egypt Pyramids Inn are all so helpful and kind. They can help arrange transport to and from the airport and can help you book any tours or excursions around Egypt. You’ll feel right at home here! 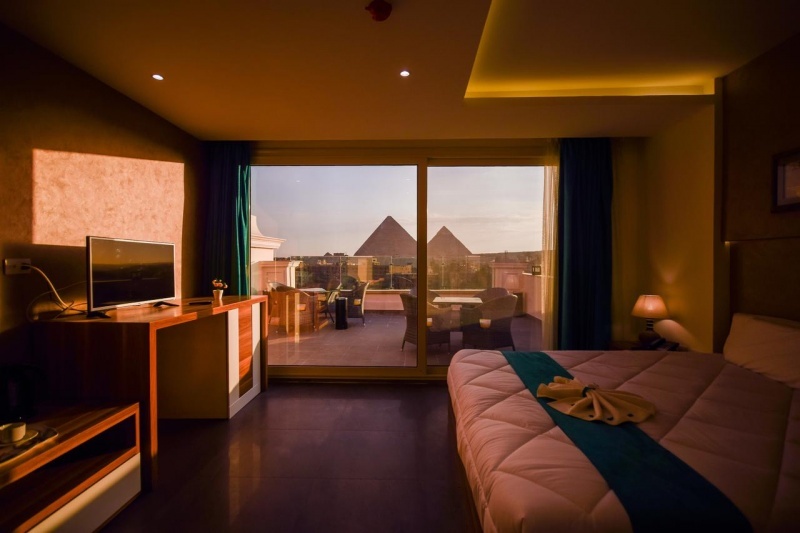 This newly built hotel also offers stunning views of the Great Pyramids from many of the rooms as well as from the rooftop terrace. And it is also conveniently located near the entrance to the pyramids so that you can visit early in the morning to beat the crowds. You’ll love how spacious the rooms are! Every room has a nice seating area, a flat screen television set, air conditioning, and some rooms have a private balcony for you to enjoy. 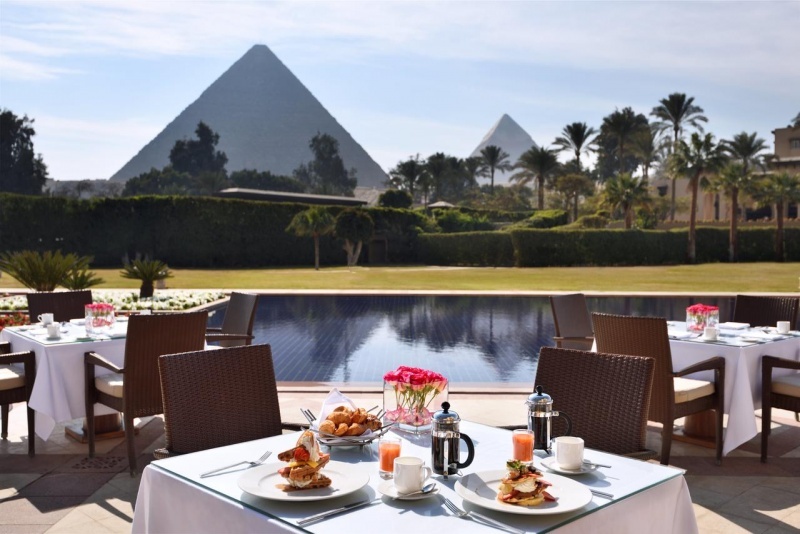 Enjoy the large breakfast spread on the rooftop patio every morning while gazing upon the impressive pyramids. You’ll have an amazing stay in this hotel! Have a great stay at the Great Pyramids! Planning a trip to Egypt? 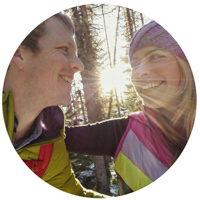 Check out our favorite guidebooks!